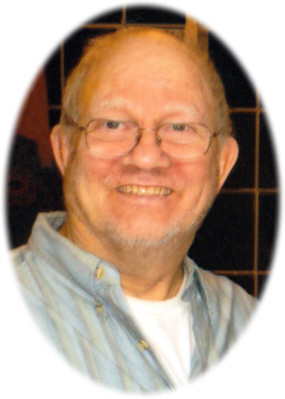 Daniel Lee “Dan” Caesar age 77 of Perrinton, MI, passed away Saturday, December 1, 2018, at his home surrounded by his family. In following Dan's wishes cremation has taken place and a memorial service will be held December 15, 2018 at 11 a.m. at the Maple Rapids Community Center in Maple Rapids, MI. Dan was born in Carson City, MI on October 8, 1941, the 8th of 14 children of Carl and Susie (Thrush) Caesar. Dan attended Hubbardston Elementary and Carson City High School. He worked for Oldsmobile for 30 years and retired in 1993. On July 22, 1966, Dan married Margaret Louise "Peggy" (Tipton) Caesar at the Maple Rapids Christian Church parsonage. Dan was a hard worker and never wanted to waste time. He enjoyed working on small engines and repaired lawn mowers for many of the neighbors. He liked to spend time in his pole barn working on one of his many projects. Dan was an avid hunter and even adapting his quad to continue hunting after becoming paralyzed. Dan was well known for his many mishaps over the years that became the legends his family continues to tell! Dan is survived by Peggy his wife of 52 years, son Steve (Angelia) Caesar of Ithaca, MI; daughter Susie Alcaraz of Perrinton, MI; foster son Richie (Melissa) Ritenburgh of Maple Rapids, MI; 3 grandchildren: Benjamin (Hannah Livingston) Caesar, Amanda (Lee Moe) Caesar, Sadie Ritenburgh; 4 brothers: Donald (Karen) Caesar, James Caesar, Calvin Caesar, Michael Caesar; and many nieces and nephews. Dan was preceded in death by his parents, brother: Gary Caesar, sisters: Norma Romanczuk, Joyce Snell, Kitty Burns; and sister-in-law Nancy Caesar. Donations may be made to GAIN - 1346 E. Buchanan Rd., Ithaca, MI 48847 or Dalis to the Rescue - 317 N Mill St., St. Louis, MI 48880. Online condolences may be made at www.smithfamilyfuneralhomes.com. The family is being served by Smith Family Funeral Homes, Ithaca, MI.